We've seen several posts on Crackberry discussing Sprint's BlackBerry Curve 8350i. We wanted to share the information below with you for your readers. 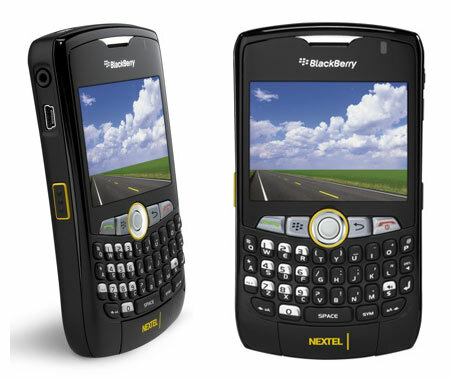 Sprint is working very closely with RIM to develop maintenance release software to resolve issues identified on BlackBerry Curve 8350i. The first software maintenance release will be available on www.sprint.com/downloads next week. Sprint will notify BlackBerry Enterprise Server customers the maintenance release is available through their IT administrators, and Sprint BlackBerry Internet Service customers will be notified through a PIN to PIN message. We are diligently working on a fix for the known echo issue. It will not be fixed in this first release, but we are doing our best to identify the issue and correct it and hoping to include that fix in the next software release. One option that helps alleviate the problem would be to use the headset that comes packaged with the phone. Sprint is also working with RIM on a second maintenance release to address the remaining issues, and hope to have it available shortly. Any customers have issues during the upgrade they can call care at 1-800-639-6111. OS 4.6.1.128 for the Sprint 8350i is waiting for you. Use the links below for help or to get started.